Whether you are saving for retirement or next summer’s vacation, a savings account from FSU Credit Union is the perfect place to build a strong financial foundation. A $5 deposit is all you need to get started. 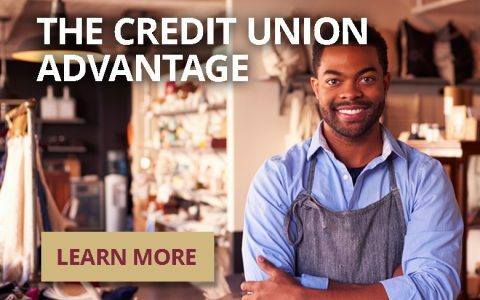 FSU Credit Union offers a number of savings accounts to meet your savings goals. This account holds your $5 share of ownership. $100.00 – $2,499.99 .35% .35% Great for those who want a general savings account. Main Share $2,500 or greater .40% .40% Main Share accounts earn .40% APY* with a balance of $2,500 or greater. This account is designed specifically for college students. $5.00-$1,000.00 10% 9.57% Students with our True Student Checking account can earn up to 10% APY* on the first $1,000. 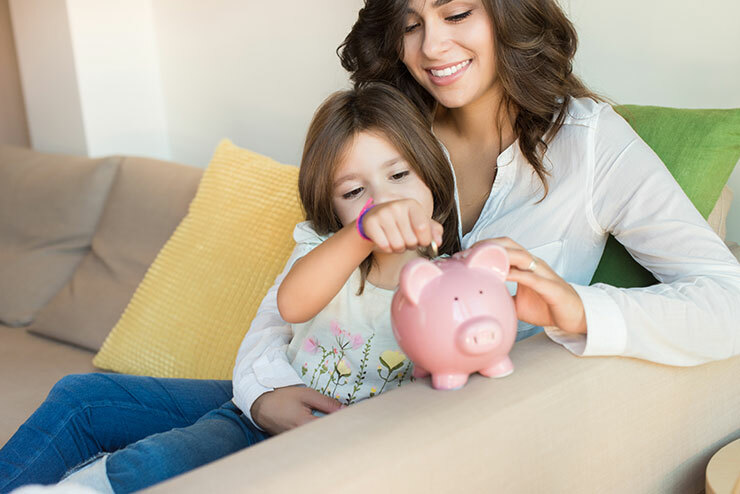 Teach your children the value of saving money! Minimum $5 to open and start earning interest .40% to .85% depending on balance .40% to .85% depending on balance Watch for promotions to earn up to 10% APY*. This account is perfect if you’re saving for a vacation or other major purchase. Minimum $5 to open and start earning interest .40% to .85% depending on balance .40% to .85% depending on balance The more you save, the more you earn! Don’t let holiday expenses catch you by surprise! Minimum $5 to open and start earning interest .40% to .85% depending on balance .40% to .85% depending on balance Money from this account will automatically be transferred to your draft account on or after November 1st of each year. For information on other savings accounts and detailed information on our rates, download the FSU Credit Union Savings and Rates document. To review applicable fees, download the FSU Credit Union fee schedule. *APY = Annual Percentage Yield. APR=Annual Percentage Rate. Holiday Savings, Youth Savings Accounts and Save-4-It accounts earn interest and have a variable Annual Percentage Yield that is subject to change by the Credit Union at any time. Holiday Savings Accounts: all funds will be transferred to the member’s draft account on or after November 1st of each year. If you make a withdrawal at ANY TIME before November 1st, ALL accrued interest will be forfeited and the account will be closed. Youth Savings Accounts earning 6%, 7%, or 10% APY will be paid at 5.84%, 6.78% & 9.57% APR, respectively, on the first $500. The remainder will be paid at the applicable rate. TRUE Student Share Accounts earning 6% or 10% APY will be paid at 5.84%,& 9.57% APR, respectively, on the first $1,000. The remainder will be paid at the applicable rate. Member must have an active TRUE Student Checking Account to earn the 10% APY account. Detailed rates can be found in the FSU Credit Union Savings and Rates document. How do I receive my tax form 1099 for interest earnings on my savings account? If you earned more than $10 in interest from your savings account in the previous year, you will receive your Tax Form 1099 in the mail. You can also use the last page of your December savings-account statement, which includes the entire earnings from the previous year. The IRS also recognizes this as an official document for use when filing taxes. It’s important to check the address that’s listed on your account to ensure your 1099 is mailed to your preferred address.